How to find us: We are on the Danforth Campus on the third floor of Wilson Hall, southeast of Olin Library. Joan is in 310, Dave in 308. Lunch room is 301, lab is 302 to 305. 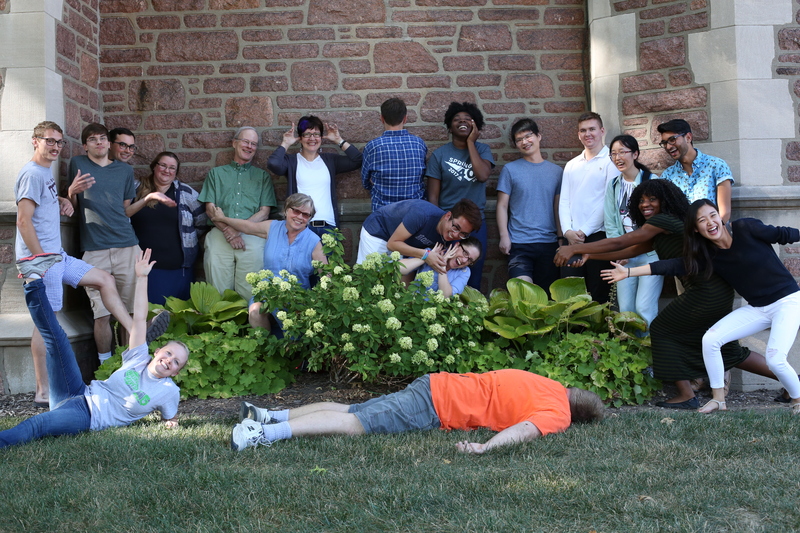 Students, postdocs, and staff are in 401, 403, and 312. Lab meeting is usually in adjoining McDonnell 412; journal club is in the lunch room. Metro stop: Skinker Walk towards campus, through the main breezeway in Brookings and continue, bearing slightly left (south) to Wilson Hall.